Erik defends several major manufacturers and Fortune 500 companies, including a St. Louis-based multinational agricultural biotechnology company, in complex litigation involving toxic tort, product liability and intellectual property disputes in state and federal courts. 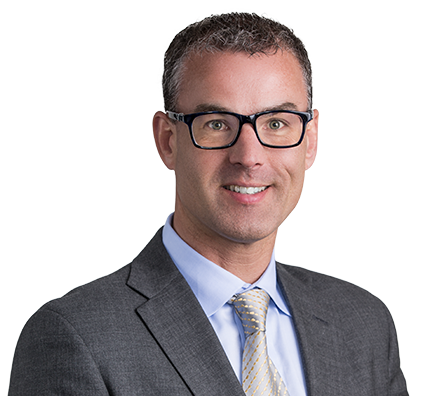 He is extensively involved in mass tort and class action product liability litigation involving consumer and commercial products that contain benzene, solvents, polychlorinated biphenyls (PCBs), perchloroethylene and environmental contaminants, such as hydrogen sulfide (H2S) and perchlorate. Erik’s extensive trial and case management experience includes responding to the legal and scientific claims involved in this litigation. Erik is also heavily involved in patent infringement cases involving the unauthorized use of patented biotechnology. He has defended manufacturers of biotechnology, chemical and consumer products against claims of alleged federal and state antitrust violations. Multiple appeals from these cases have resulted in favorable outcomes in the U.S. Court of Appeals, Federal Circuit. Obtaining significant defense victories as member of multiple trial teams in complex PCB exposure cases alleging various subtypes of non-Hodgkin lymphoma was caused by PCBs. Representing an agricultural products manufacturer as a trial team member in a patent infringement lawsuit in U.S. District Court, Northern District of Mississippi, in which jury found that the defendants’ infringement was willful and rendered a verdict that resulted in a judgment for more than $15 million. Assisting in the defense of a major manufacturer client in federal court in more than 250 related lawsuits, including putative class actions. The jury gave a complete defense verdict in selected bellwether cases and all remaining cases were resolved favorably for the client. Assisting in the trial of a patent infringement case involving a Fortune 500 multinational agricultural biotechnology company as plaintiff in U.S. District Court, Eastern District of Missouri. Jury awarded $2.9 million and made a finding that the defendants’ infringement was willful. As part of a team leading multiple-defendant joint defense groups in the nation’s most difficult jurisdictions, Erik has handled cases in Illinois, Missouri, California, Arkansas, Tennessee, Mississippi and Michigan. Obtained significant defense victories as member of multiple trial teams in complex PCB exposure cases alleging various subtypes of non-Hodgkin lymphoma was caused by PCBs. Represented an agricultural products manufacturer as a trial team member in a patent infringement lawsuit in U.S. District Court, Northern District of Mississippi. The jury found that the defendants’ infringement was willful and rendered a verdict that resulted in a judgment for more than $15 million. Assisted in the defense of a major manufacturer client in federal court in San Jose, Calif., in more than 250 related lawsuits, including putative class actions, alleging groundwater contamination arising from historical use of perchlorate. Plaintiffs sought certification of a medical monitoring class and actual and punitive damages for alleged property value diminution. A four-week jury trial resulted in a complete defense verdict in selected bellwether cases. All remaining cases resolved favorably for the client. Assisted in the trial of a patent infringement case, representing Fortune 500 multinational agricultural biotechnology company as plaintiff, in U.S. District Court, Eastern District of Missouri. Jury awarded $2.9 million and made a finding that the defendants’ infringement was willful. Served as trial team member for the defense of Fortune 500 multinational agricultural biotechnology company in a toxic tort case in southern Illinois. The plaintiff claimed that a chemical exposure caused her to suffer injury to virtually every organ system in her body and increased her risk of developing cancer. After being asked to award a minimum $5 million for lost wages, medical bills and future medical monitoring, the jury instead returned a defense verdict. Coordinated joint defense groups on behalf of several oil and gas companies in chemical exposure cases in numerous jurisdictions resulting in favorable resolution for clients.